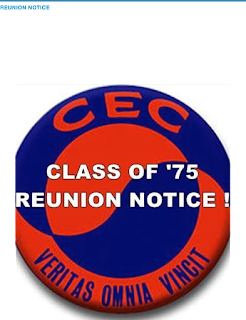 CEC Class of 1974: 1975 Reunion party and we are invited! 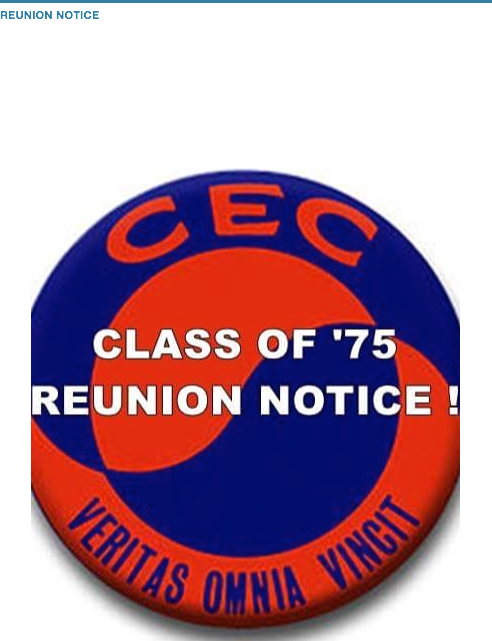 1975 Reunion party and we are invited! It will be an amazing evening with lots of hits from the past and present. hope to see you there. Fill out contact form to the right if you want tickets.